Inasmuch as I am considered a motorcycle accident lawyer throughout Pennsylvania, New Jersey and Delaware, I am always on the look out in local magazines and newspapers for articles that are written about motorcycles and how the economy has affected the motorcycle business. As most of you know, the motorcycle business was hit pretty hard between 2008 and 2011 and has just recently begun to rebound. While reading the small business section contained in our local newspaper, I came upon an article entitled “Local start up ready for the next chapter”. This was a story about a retailer named RevZilla.com, which is in the process of moving its main headquarters from South Philadelphia to a site along Delaware Avenue, which will not only be larger, but will allow it to sell and produce more products for sale. RevZilla Motorsports, LLC is an online motorcycle retailer which was created approximately 3 years ago by three Drexel University graduates who wanted to indulge their proficiency with technology and their love of bikes. The article was written by Diane Mastrull. I don’t know whether they would have a use for a motorcycle accident law firm, however, when I am in the area I plan on stopping by and introducing myself. 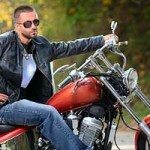 The owners of this venture indicate that they have been successful in blending the use of the internet and their passion for bikes by producing video’s played on You Tube on topics ranging from serious motorcycle product reviews for both dirt and street riders, to reviews of Harley Davidson’s and all makes of sports bikes. Although the article stresses that there are other threats to their e-commerce business including Amazon and Google, RevZilla is expected to survive because the market for motorcycle accessories and apparel is big and continues to grow. The technology and sophistication that RevZilla brings to their marketing efforts are evidence of the reasons they will surely continue to thrive. 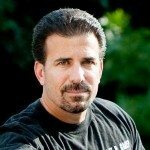 As a motorcycle attorney who advertises in multiple arenas including the internet, magazines and our motorcycle law firms attendance at numerous motorcycle events through out the Delaware Valley, I can attest to the fact that spreading the word that we specialize as motorcycle accident lawyers is a full time job. In addition to the magazines and shows, I try to make myself available to speak at various motorcycle groups and answer questions not only about motorcycles, but about motorcycle insurance and its interplay with health and auto insurance as well. Knowing how difficult it is to make your business stand out in a competitive field, I applaud the three founders of RevZilla for not only growing their business in a very difficult recessionary period, but also for utilizing the internet and modern technology to do it. 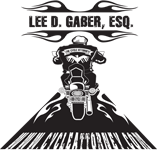 If you have any questions for motorcycle lawyers, please feel free to contact me 888-292-5352 (888-CYCLE-LAW).